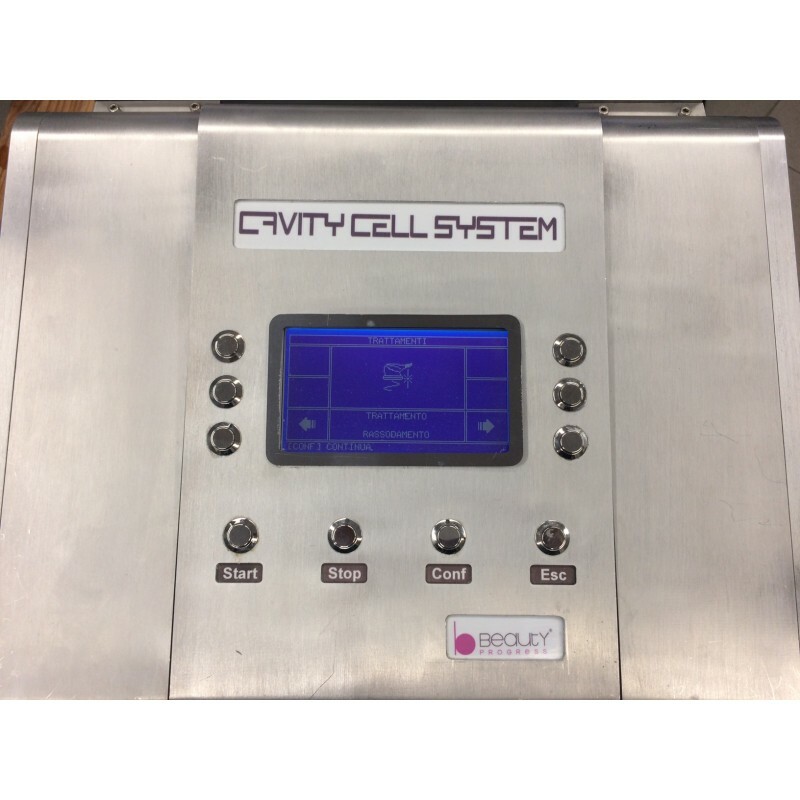 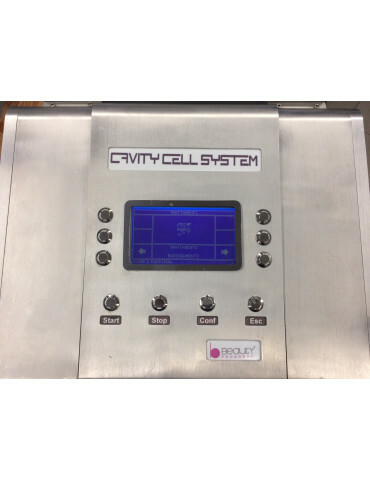 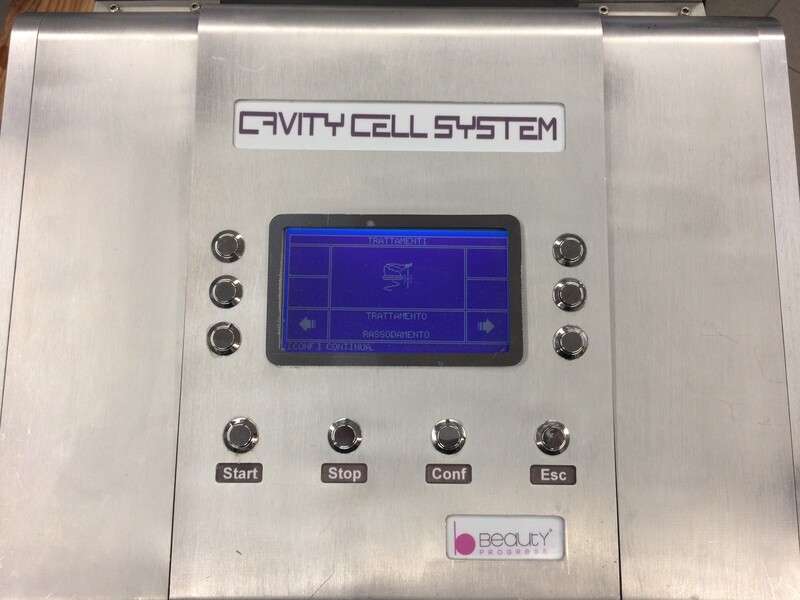 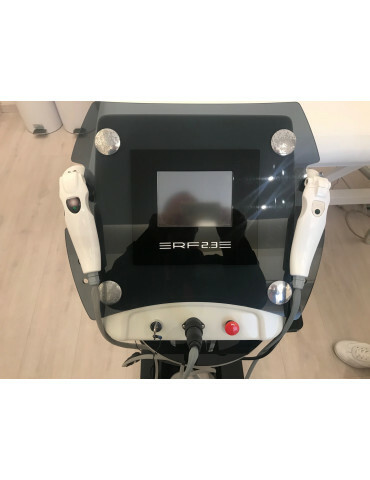 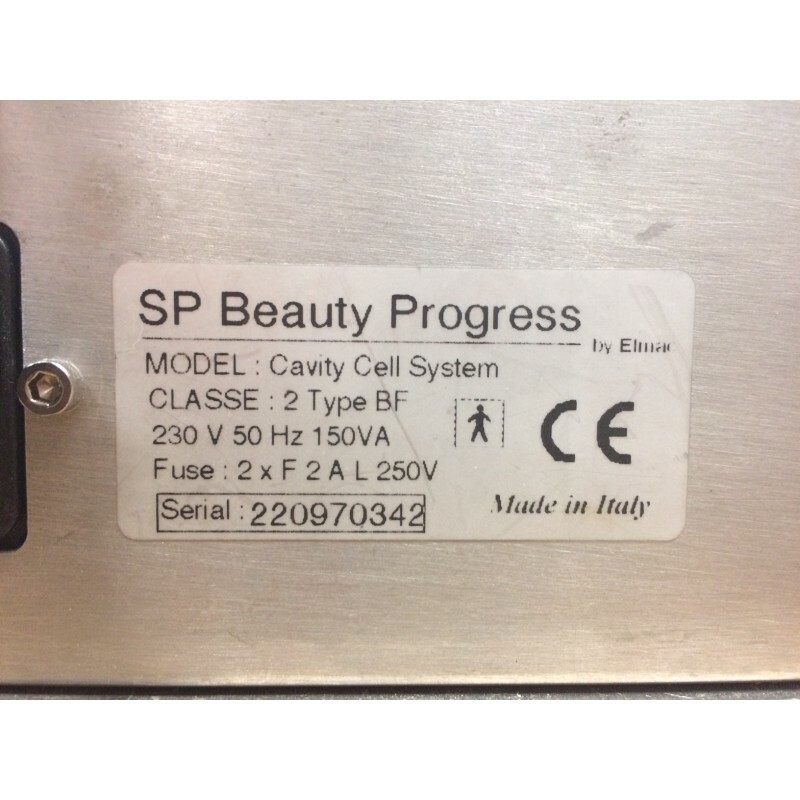 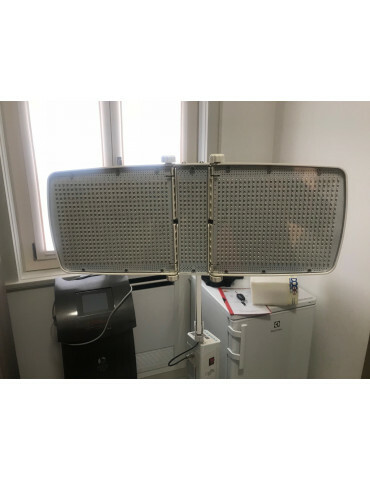 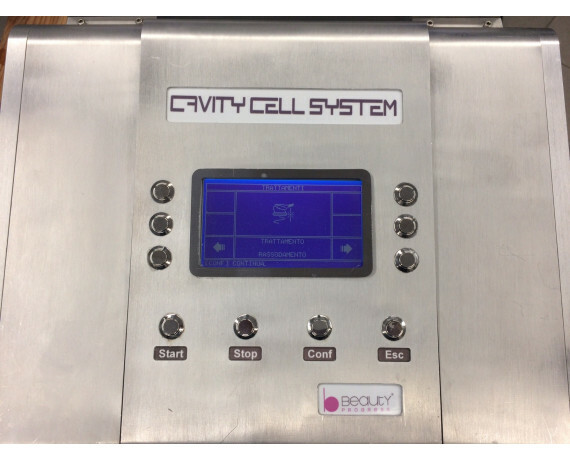 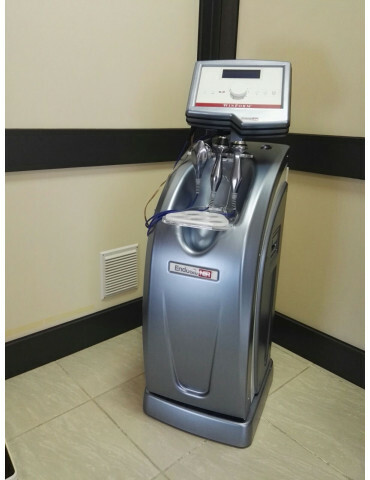 Second Hand Cavity Cell System equipment produced by Beauty Progress used for the ultrasonic cavitation. 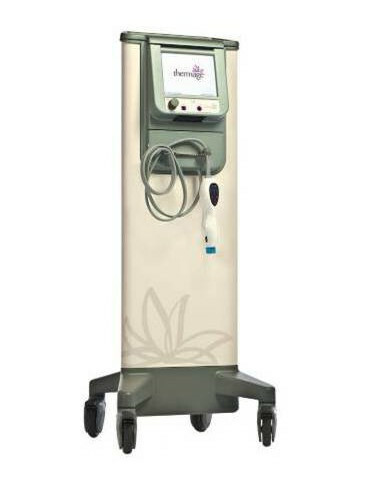 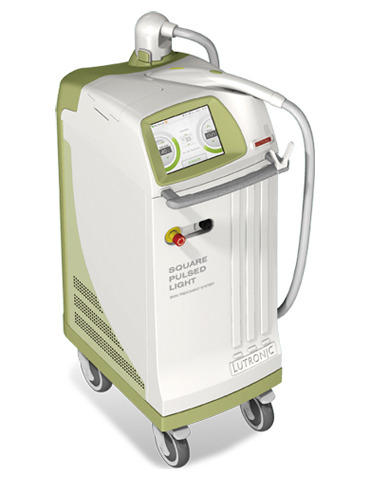 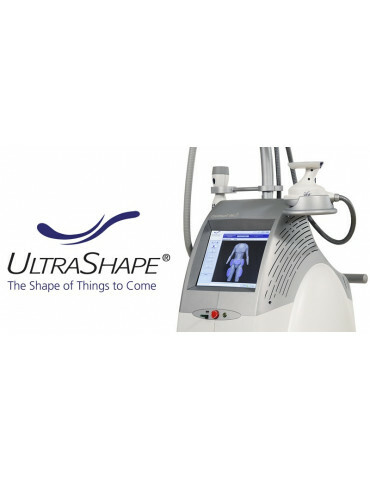 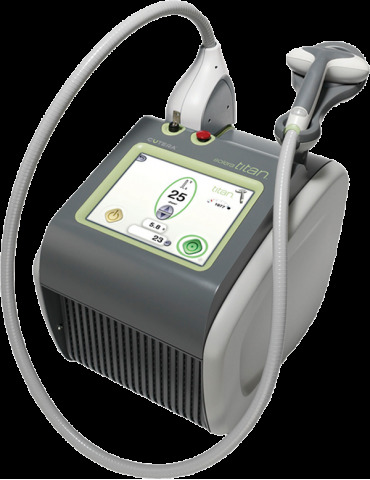 Treatment of localized fat and cellulite. 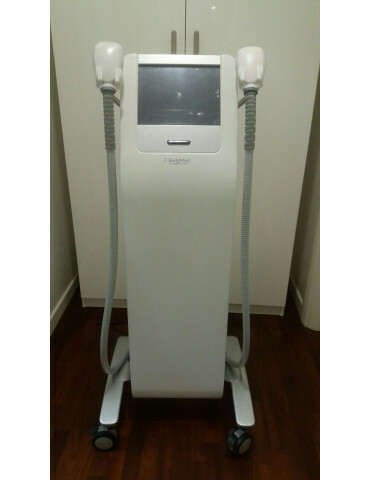 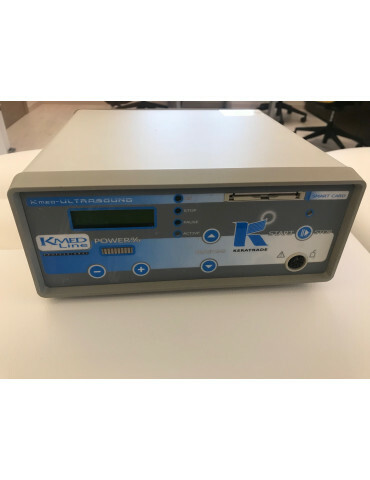 In excellent condition, double handpiece.